Have you ever seen a blue snowman? We hadn’t either until we received this photo from the Adrianse family. Here you see Jaden, 12, and Brooklyn, 10, from Cedar Springs, with their creation. “They were playing right in our front yard helping each other build a snowman. They used a spay bottle with food coloring to make their snowman unique!” explained their mom, Michelle. 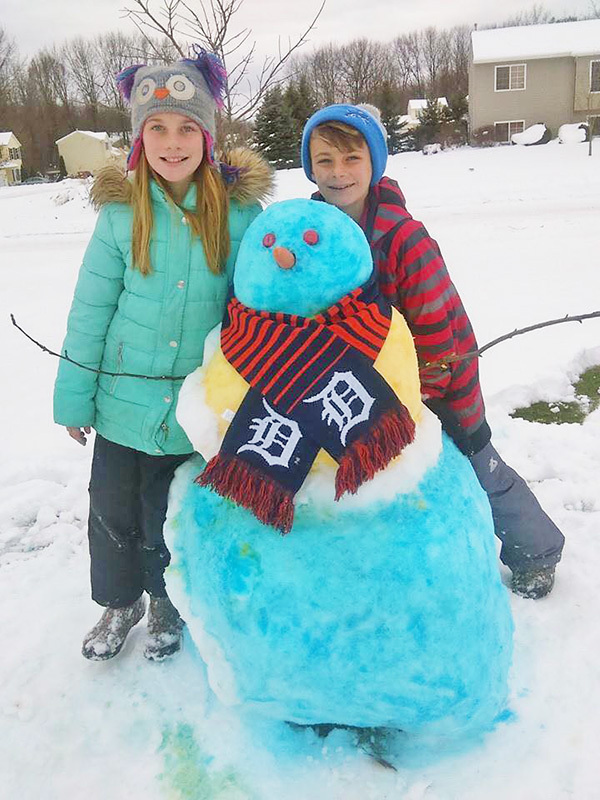 Thank you for sharing your winter fun photo with us!